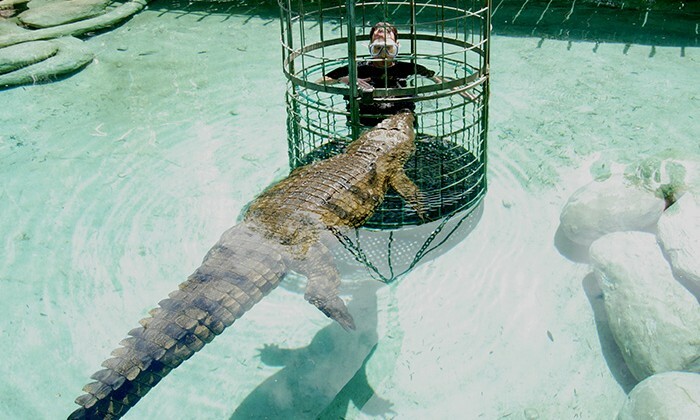 An hour’s drive off the coast of South Africa’s scenic Eastern Cape, the town of Outshoorn draws tourists with two main attractions: the magnificent Cango Caves, and the chance to swim with huge Nile crocodiles at Cango Wildlife Ranch. 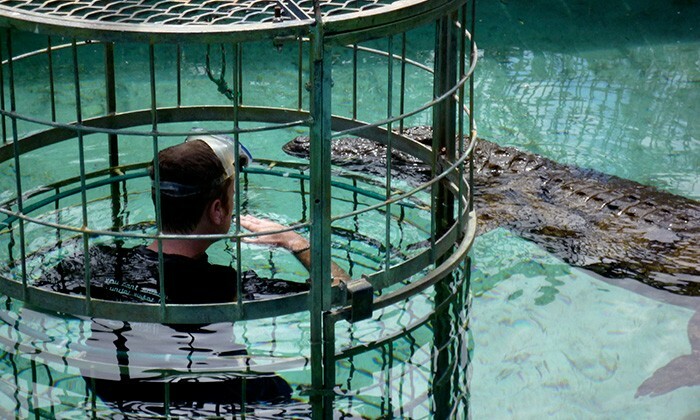 Protected by a small, circular cage, a crane lowers you into a clear pool to get closer and more personal with crocs than you’d ever want to be. 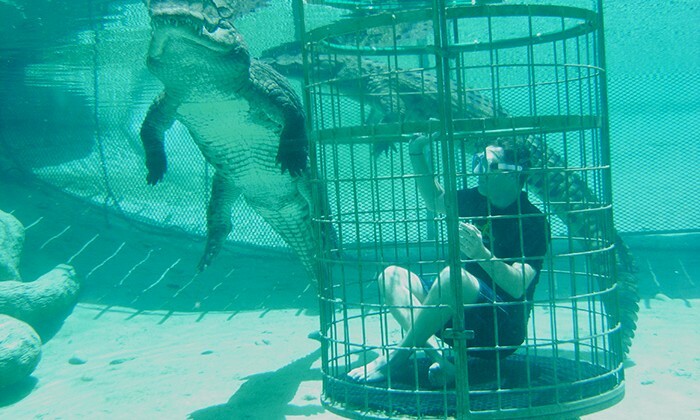 Resist the urge to touch them as they surround your cage, because these are impressive, unpredictable reptiles. Dip underwater with your goggles to see their graceful swim, and have your pics taken from the underwater glass viewing deck. Length of Trip : Budget 3-4 hours for the swim and exploring the ranch. 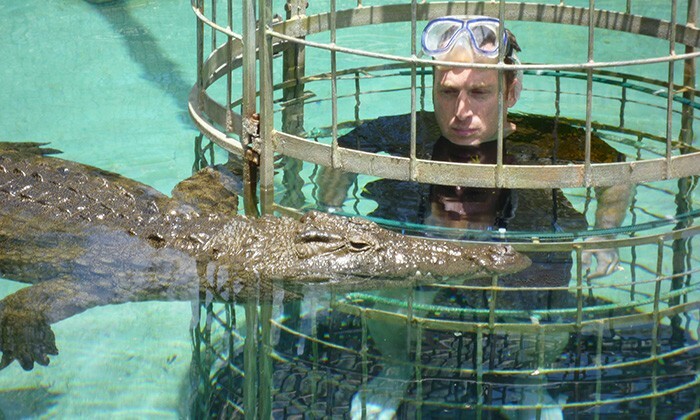 Cost : There is a park entrance fee and an additional fee for the croc cage encounter (along with encounters with other animals like cheetahs, lemurs and snakes). 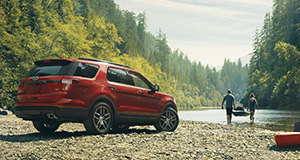 Click here for the latest rates. Best time to go : Open 365 days a year. Family friendly : The Ranch is open to all ages. For the croc swim: 5 years and older with a guardian, 14 years and older without. Where to eat : Turtles Restaurant is fully licensed and located on-site, serving burgers, steaks, vegetarian options, and for the more adventurous, ostrich steaks and crocodile kebabs. Where to Stay : We recommend the Turnberry Boutique Hotel in Outshoorn. Getting There : The Cango Wildlife Ranch is situated about 3km outside of Oudtshoorn on the R62 en route to the Cango Caves (which are about 30 minutes away and well worth adding to your itinerary). Note from Robin : What's really great about croc cage diving is you can tick off cage diving with Great White Sharks not too far away in the town of Mossel Bay. I managed incredible encounters with two of the world's fiercest creatures just a day apart from each other. 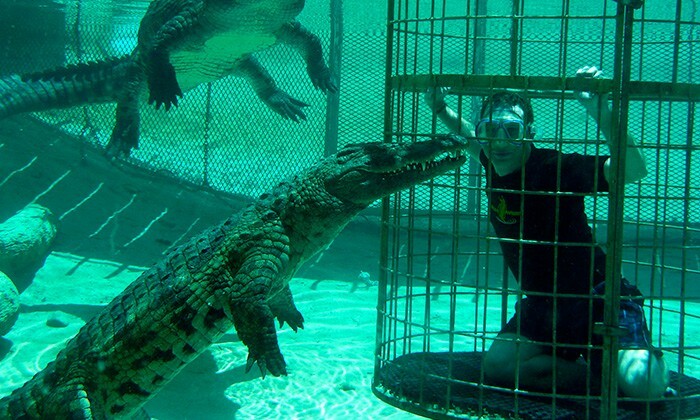 Unlike the sharks, who are curiously drawn to the cage, the crocs are more likely just want to eat you! Cango Wildlife Ranch is a conservation centre and believes, as I do, that unique encounters with animals increases our understanding and appreciation of them. 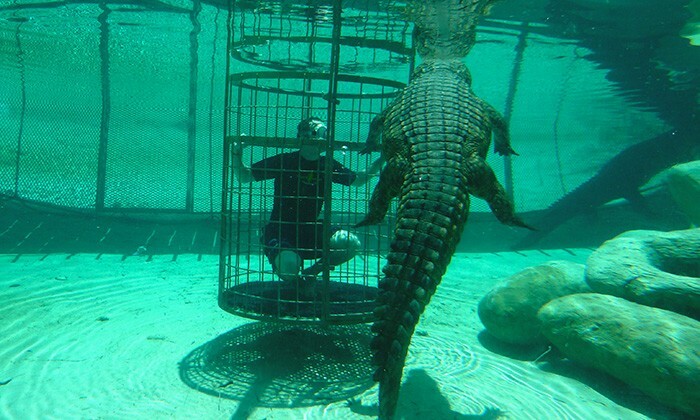 Does Diving with crocodiles belong on the Global Bucket List?